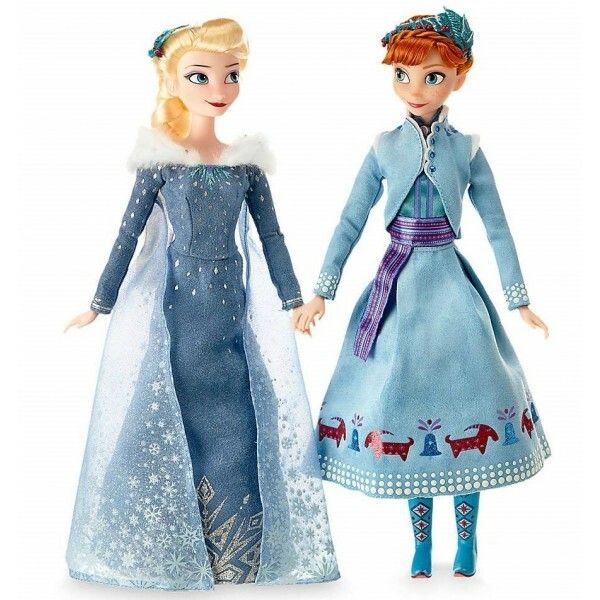 Fans of Olaf's Frozen Adventure will love this pair of Anna and Elsa dolls dressed for an Arendelle Christmas! These official Disney Store 12" dolls come wearing finery fit for a celebration: Elsa wears a simulated suede dress with silver foil decorations, a shimmering organza cape with snowflake print, and a faux fur shoulder trim with miniature glittering gems, while Anna is dressed in a simulated suede jacket with furry trims and gem buttons, a skirt with glittering decorative designs, a satin folk print blouse, and a sash. 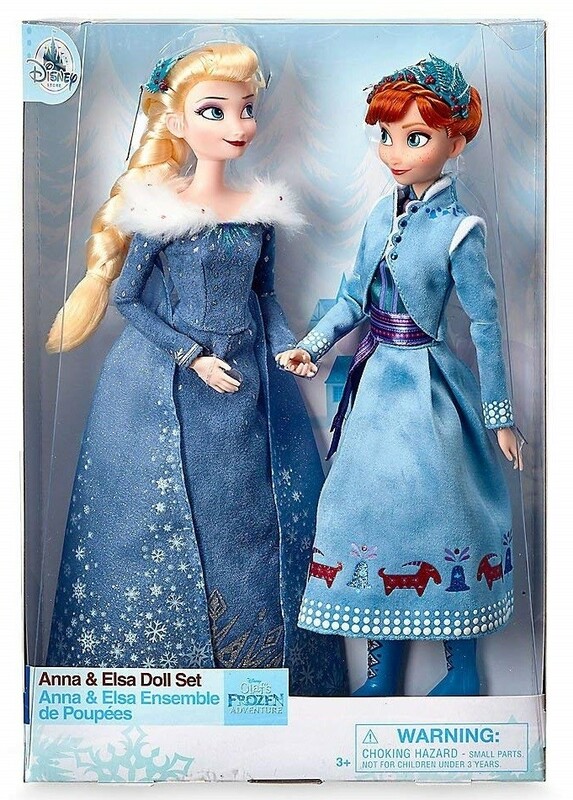 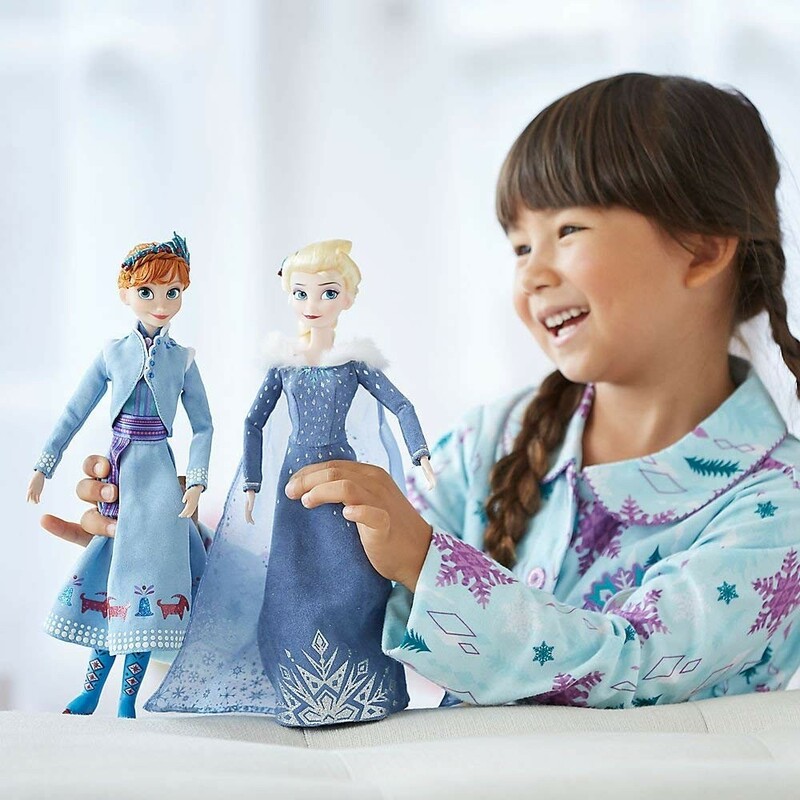 For more toys featuring Ann, Elsa, and other characters from this hit movie, visit our Frozen Collection.